"Get a room". That's what the head of the Shenyang health department Yan Shi did when he wanted to have closer relations with Dr Li Chenyang, the head of the Shenyang Women and Children's Hospital. And now their lunchtime meetup at a local hotel has cost both of them their jobs. 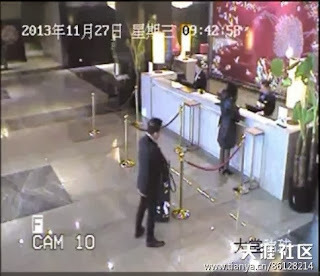 The couple were found to have spent three hours together in a hotel room from 10am to 1pm on 27 November. After viewing evidence from room cards and close circuit TV, the city's Party Discipline Inspection Committee has told Mr Yan to hand in his resignation, while Dr Li has been suspended from her post at the hospital.